The "Dead Air" downloadable content add-on for Left 4 Dead 2 will launch a bit ahead of schedule, thanks to the frightening dedication of the game's fanbase. On Wednesday, July 6, Valve Software challenged the Left 4 Dead 2 fanbase to earn the "Stream Crosser" achievement 20,000 times by the evening of Sunday, July 10. The achievement is unlocked once a player has survived the "Cold Stream" campaign on any difficulty. The challenge, Valve claims, served both as a promotional tool for that particular campaign, but also as a stress test to see how well it could withstand an immense flood of players. Since I swore off hyperbole for Lent, when I say "immense flood," I mean just that. According to the official Left 4 Dead blog, fans had bested Valve's challenge only four hours after it began. After 24 hours, the achievement had been unlocked over 60,000 times. Since you hit your mark, this means we are going to unlock Dead Air early. We are going to try and release it as early as possible but will release it on July 22nd the latest. 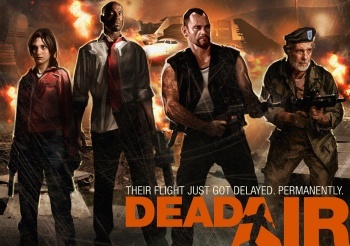 L4D2 players not suffering from short-term memory loss will recall "Dead Air" as a campaign from the original Left 4 Dead that featured the game's four protagonists slaughtering zombies through an airport en route to boarding an airplane constructed entirely of predictable plot twists. So far the latest L4D2 DLC is exclusive to the PC platform, though Valve has yet to rule out its future appearance on the game's Xbox 360 iteration. Originally I was going to draw a clever parallel between the slavish dedication of the Left 4 Dead fanbase and the hordes of virtual zombies they routinely slaughter, but in hindsight, that seems a bit obvious. It's almost too obvious. As if Valve created this entire challenge specifically to insinuate its vice-like grip on the hearts and minds of its fans. "Watch as I make them dance to and fro," Gabe Newell monologues to no one in particular. Now you know how Valve can afford to issue free DLC updates for year-old games: you've already paid for the extra content with your very soul.